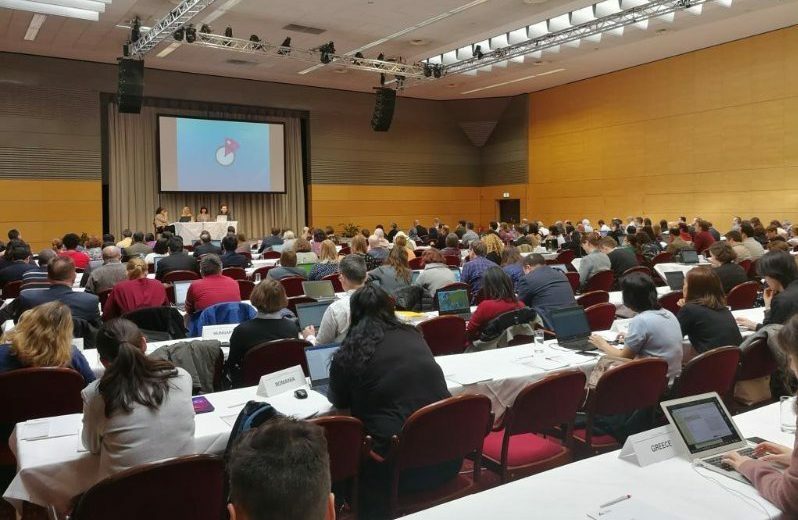 The cApStAn Linguistic Quality Control team was in Vienna recently for the first National Project Managers’ meeting of the 8th cycle of PISA (the OECD’s Programme for International Student Assessment). There were 88 confirmed participating countries/economies and 140 locales (language/region combinations) represented, and over 250 attendees. cApStAn is the contractor in charge of linguistic quality control in PISA (1). Over 2.5 days, in workshops with hands-on exercises, members of our team trained participants to use an open source translation editor to produce their language versions. Our ambition is to make the tool available to translation professionals as well as non-professionals, and to provide adequate support throughout the PISA translation and adaptation procedure. The work accomplished during these six work-intensive days is colossal. Special thanks to all the members of the team (Elica, Roberta, Manuel, Adrien, Emel, Danina, Shinoh, Irene, Josiane) who helped participants hit the ground running, hopping from one PISA team to another and addressing their queries! 1) OECD/PISA is one of our flagship projects: cApStAn has been responsible for ensuring linguistic equivalence of all language versions of this large-scale international survey since its inception. In PISA 2018, this represented over 80 countries and over 100 national versions.